In 1977, the California Legislature passed Assembly Bill 1717, the Suisun Marsh Preservation Act. 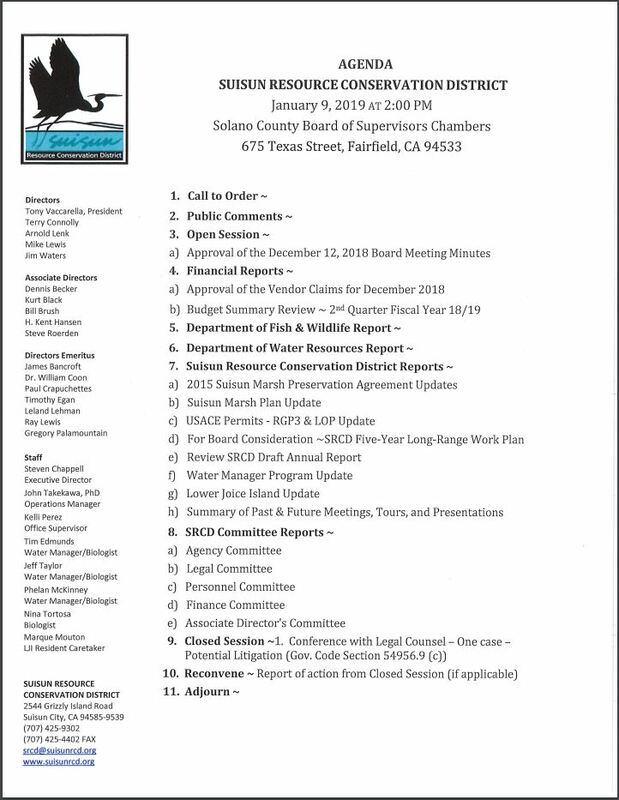 This Legislation added provisions to the Public Resource Codes to define the Suisun Resource Conservation District (SRCD) responsibilities over water management practices on privately owned lands within Suisun Marsh. Today, SRCD provides the landowners with technical assistance in permitting, water control, and habitat management to ensure the wetland and wildlife values of the Suisun Marsh are sustained and enhanced. 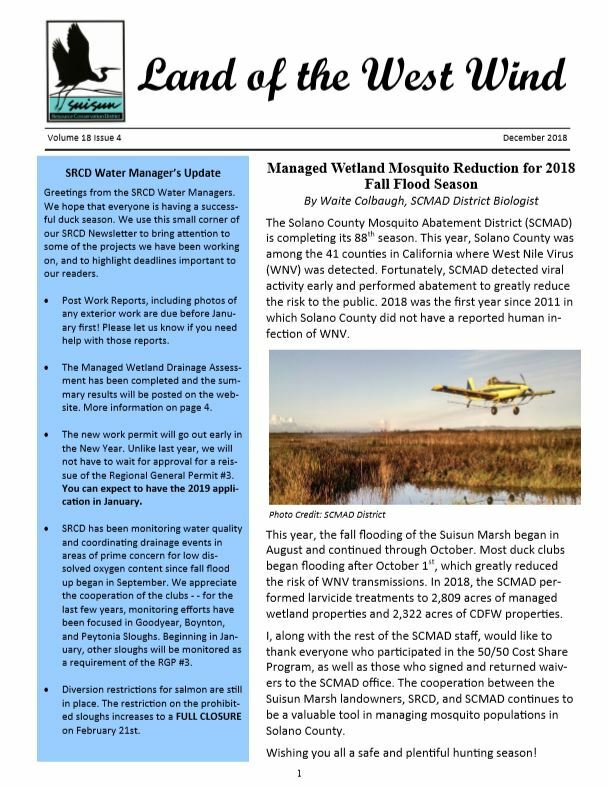 The Suisun Resource Conservation District covers over 115,000 acres which includes 52,000 acres of managed wetlands, 6,300 acres of unmanaged tidal wetlands, 30,000 acres of bays and sloughs, and 27,000 acres of upland grasslands. 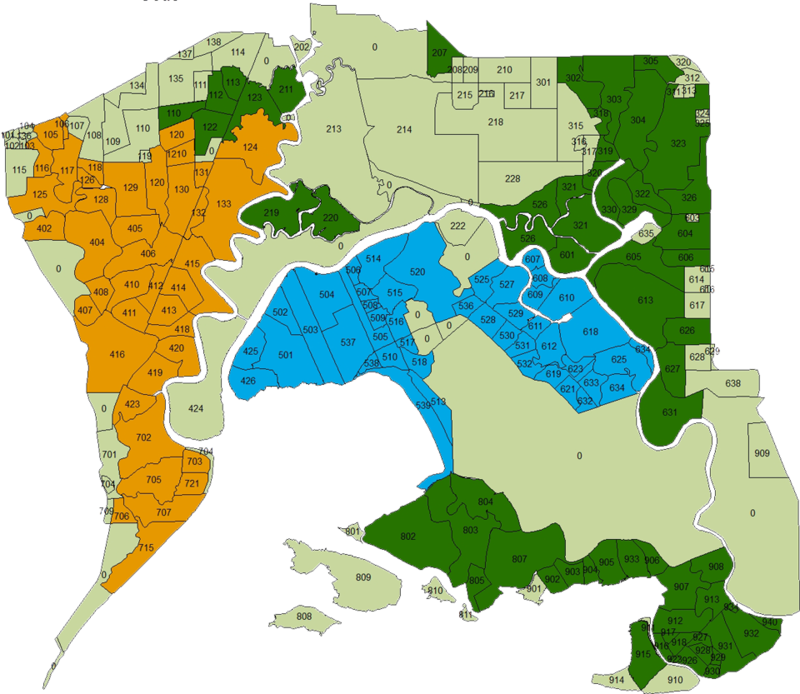 Water Manager Zones for different landowners are indicated by three different colors.